Everyone is well aware of the fact that one’s name goes on to become a very important part of an individual’s identity. Hence, it is one of the most crucial decisions looming over the heads of new or expecting parents. 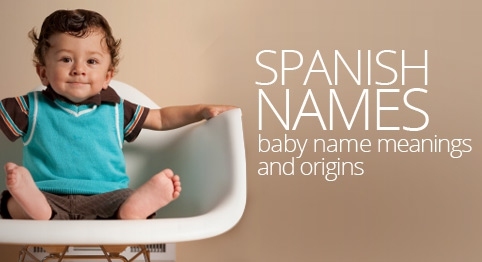 If you have Spanish blood coursing through your veins, or simply love Spanish names and are expecting a boy, then we probably have made your work easier by putting together a list of 20 beautiful Spanish names for baby boys. On top of the list of Spanish names for boys is Alejandro, which is very strong, and gives off a very manly vibe. It is most popular version of the English name Alexander, which means ‘defender’, or ‘protector of mankind’. This name is derived from Loeis, an old French name, which in turn has been inspired by Hluodowig, an Old High German name. The name can be loosely translated to ‘famous in battle’ or ‘famous warrior’. This is the Spanish form of the name Michael, a popular variant if you will. It finds its origins in the Hebrew word Mika’el which means ‘God like’. The name also finds a mention in the Bible, where one of the 7 archangels has the same name. Santiago is a compound name which basically means ‘Saint James’. It is derived from santo, a Spanish work for saint, and Yago, which is an old Spanish form of the name James, who is Spain’s patron saint. This is one of the most popular Spanish names for boys. It is derived from a Greek name Emmanouel, which in turn is derived from the Hebrew name Immanuel, which means ‘God is with us’. The name of one of the Messiah in Bible is also Manuel. The name Nicolas has its roots in the Greek name Nikolaos. It is a compound name, which is composed of two elements: ‘Nike’, which means Victory, and ‘Laos’, meaning people. The name means, ‘victory of the people’. The very famous bearer of the name is St. Nicholas, a bishop from the 4th century. The name Daniel originates from the Hebrew name Daniyyel, which means ‘God is my judge’. The name has remained an all time favourite among Spanish names for boys. It finds a mentioned in the bible as the name of a Hebrew Prophet. The name Pablo originates from the Latin name Paulus, which in turn finds its roots in the name Roman name derived from the word ‘Paulus’, which means Small or Humble. Pablo Picasso is one of the famous bearers of the name. This is one of the famous names all across the continent of Europe, especially in Spain and France. It was a surname, as well as, a given name for male babies in Germany. It originated from the Hugo, which means ‘intelligence’ or ‘bright in both mind and spirit’. The name Adrian is derived from the Latin word, adrianus or hadrianus. It is basically a term used to mention anyone who lives in the Hadria, a town situated in Northern Italy. The town gets its name from the Adriatic Sea. It is a name that was taken by many Popes. Originating from Hebrew name Dawid, it means ‘favourite’ or ‘beloved’. The name finds a mention in the Bible as the second king of Israel. It has a very masculine vibe about it. What used to be a Spanish surname now is a very popular name for Spanish boys. The name is derived from Xavier, a place in Navarre, which in turn seems to be derived from Basque Etxabier, which means ‘new house’. This name was considered to be a pet form to the name Jaime. But over the years, the name has evolved, to become an independent first name given to boys. It finds its origin in Didacus, a Latin name derived from didakh, a Greek word meaning ‘teacher’. A Spanish variant to the very popular Roman name Marius, it possibly relates to the planet Mars. This in turn might have been derived from the word mas, meaning male or masculine. Another popular meaning for the name Mario is considered to be ‘warring’. Sergio is derived from a very popular Russian name, Sergei. This in turn finds its roots in the name Sergius, which happens to be a Roman family name. Although the origin of the name is a little hazy, it is believed that the name means ‘guardian’. Georgios is a Greek name, where the name Jorge finds its origin. It is a compound name where ge, means ‘Earth’, while ergon means ‘work’. So it can be safely assumed that the name means, ‘earthworker’ or ‘farmer’. It comes from the word cheorl, which means ‘free man’. Another popular meaning of the name is ‘strong’. Spain had four kings by this name, which happens to be a very popular name among Spanish boys. It is very popular among mothers who are looking to for Spanish names for boys. The name sounds very familiar to Ike, a Hebrew name which means ‘laughter’. However, it is believed to originate from Basque which means ‘visitation’. Spanish names have become very popular among expecting parents all across the world, irrespective of whether they have a Spanish background or not. Names like Santiago, Jorge, Carlos, Mario etc have all become very famous, and for a good reason at that. All of these names have a very masculine, yet a soothing vibe going for them. With the list of names provided above, you should no trouble whatsoever to find the perfect one for your bebé. Server responsed at: 04/18/2019 11:28 p.m.